Today, as I went to have my snow tires removed, I was hoping that nature would not play tricks on me, mere mortal. Sure enough, as I was about to leave Les Schwab with my ‘every day’ tires on, the weather changed from sunny to pouring rain. And the temperature dropped. Slushy rain was definitely coming down. However, as got up the hill to where home was, the sun came out again. So all day long, that was what the weather pattern was: pouring rain one minute to absolutely gorgeous sunny the next. No snow, though, which is good. I just hope winter does not come back tomorrow. This being Friday, my family normally does not cook or get together for dinner on Fridays. We call days like this: ‘YOU-ARE-ON-YOUR-OWN DAY’. That goes with Saturdays as well. 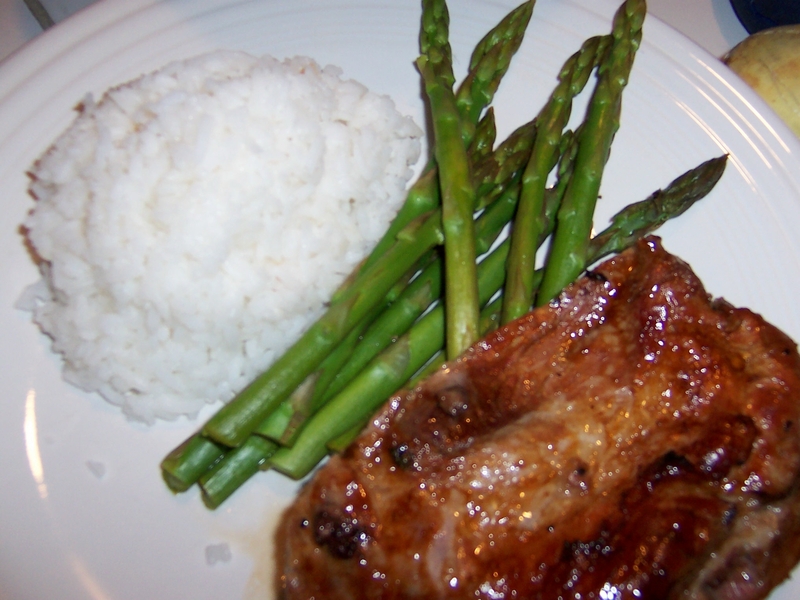 But today, I thought it would be nice to cook some baby back ribs and asparagus with rice for dinner. My boys (excluding the cats) just love baby back ribs. They were a bit surprised I was in a good mood to cook on a Friday. There are a couple of reasons behind this effort. One: I had no plans to go dancing tonight ~ too wet to go out; two: the meat needed to be cooked as I didn’t want it sitting in the refrigerator longer than 2 days. Nice, huh? That was one satisfying dinner, I tell ya! That’s Jake on his favorite knitted bed, feeling content. Do you see his white-dipped paw sticking out? That bed was meant for two cats. Obviously, Jake is ‘two cats’. Hahahahaha! Jake is a solid 16 pounder! Oh, I cannot show Jake without showing Tom. 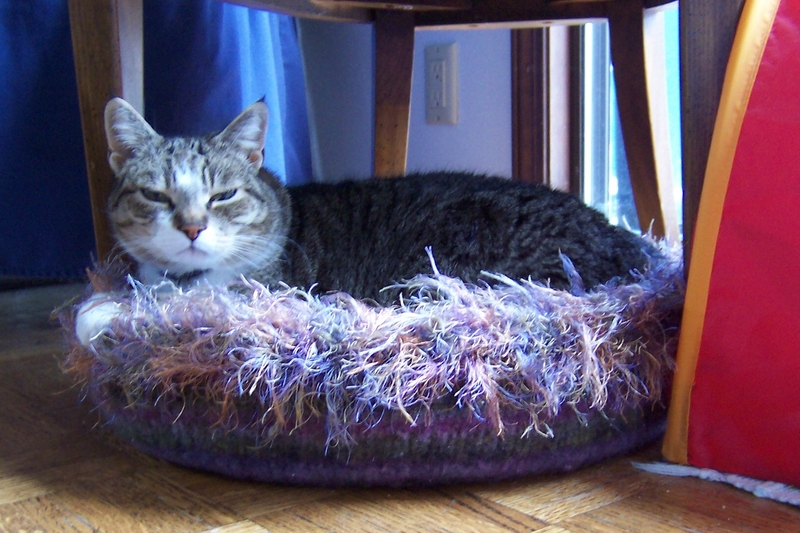 Tom just coming out of a nap from his red canopy with another knitted bed meant for a small cat only. Tom is smaller than Jake. 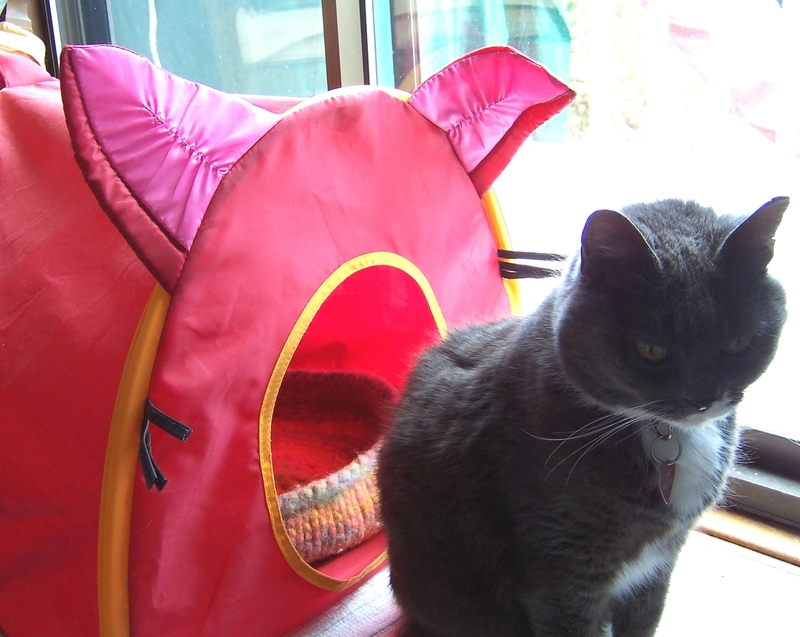 Tom loves this pet canopy. If you’d notice, it has ears and whiskers. I got this one from IKEA. There’s another canopy (blue) outside the front of the house with another knitted bed. I believe a transient racoon or two, at times, uses it.